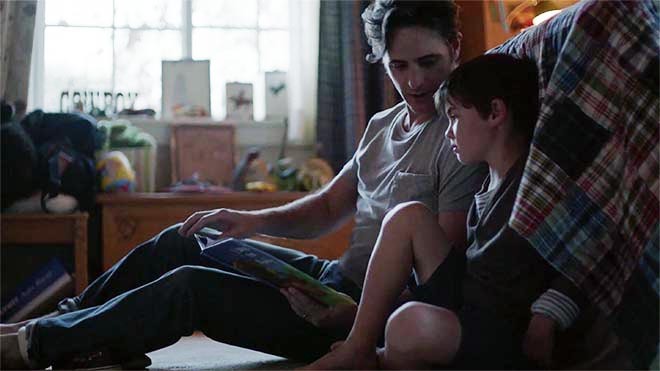 Nissan With Dad, a 2015 Super Bowl advertising campaign, is centred on a commercial in which an up-and-coming race driver journeys to the highest levels of motorsports competition. Set to Harry Chapin’s track, “Cat’s In The Cradle”, the ad depicts the struggles of a father and mother to balance work and family while they raise their son. 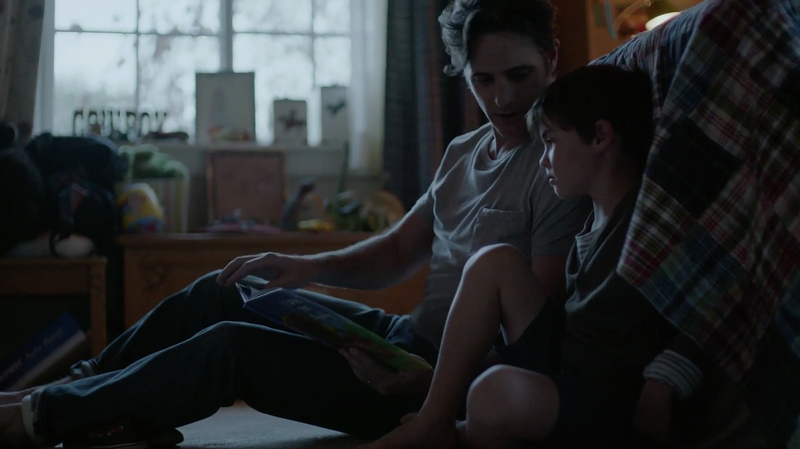 In the end, the cycle, so well known in Chapin’s song, is broken with Dad turning up in the next generation Nissan Maxima. 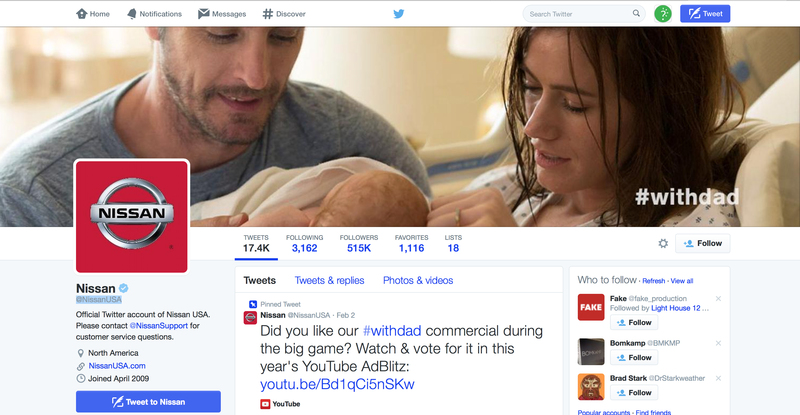 The Nissan With Dad site, Facebook page, YouTube and Twitter channels invite fans to share their own #WithDad stories and images. In connection with the “With Dad” commercial Nissan will donate $1 million to help people build a better future for themselves and their families through a contribution in support of Habitat for Humanity and Wounded Warrior Project® (WWP). 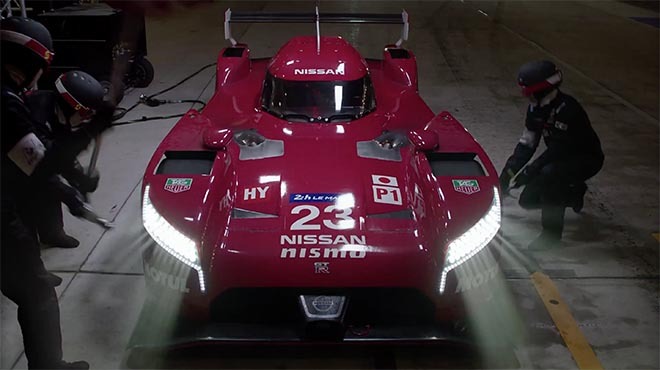 The Nissan With Dads commercial includes footage of the new Nissan GT-R LM NISMO, which will contest the LM P1 class of the FIA World Endurance Championship. The front-engined, front-wheel drive vehicle, with its aerodynamic bodywork, is powered by a 3.0-liter V6 twin-turbo gasoline engine and a kinetic energy recovery system. In the lead up to Game Day Nissan hired popular YouTube creators such as Break, Epic Meal Time, Dude Perfect, Jabbawockeez, Convos with my 2-year Old, Roman Atwood and Action Movie Kid to contribute web videos about dads and their families, using the campaign hashtag #withdad. 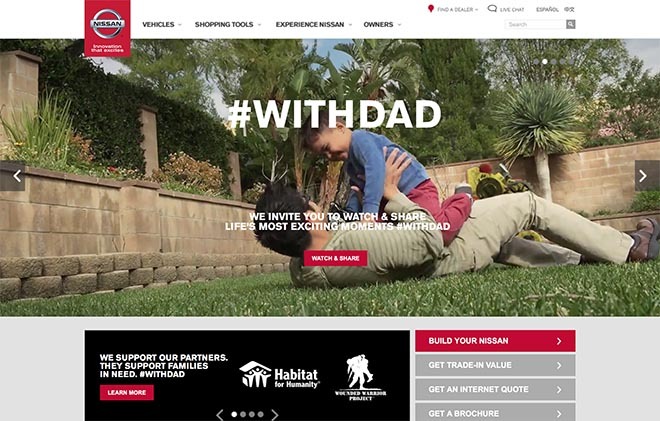 The Nissan With Dad campaign was developed at TBWA\Chiat\Day Los Angeles, by chief creative officer Stephen Butler, creative directors Chris Ribeiro and Drew Stalker, associate creative director / copywriter Jason Locey, associate creative director / art director Liz Levy, director of production Brian O’Rourke, senior producer Carrie Schaer, assistant producer Alex Dossett, managing director Peter Bracegirdle, account directors Bonnie Schwartz and Craig Werwa, management supervisors Patrick Jones, Val Tyllkk, group planning director Oke Mueller, planning director Kyle Luhr, director of product information Joel Weeks, product strategy specialist Andy Galvin, director of business affairs Linda Daubson, executive business affairs manager Robin Rossi, traffic operations director Dessiah Maxwell, traffic operations manager Malika Jones, project management director Janet Perez. Media was handled at OMD with managing director Kristi Lind, group director strategy Jennifer Reece and Aaron Anderson, producer integrated programs Jocelyn Monroe, strategy director Johnathan Fisher, associate strategy director Lauren Crotzer, group director digital Anthony Viccars. Filming was shot by director/cinematographer Lance Acord via Park Pictures with executive producers Mary Ann Marino, Jackie Kelman Bisbee, line producer Tim Kerrison, art director James Chinlund, costume designer Christine Wada, casting director Dan Bell, stunt coordinator Andy Gill, set photographer Daniel Goldwasser. Editor was Russell Icke at Whitehouse Post with assistant editor James Dierx, senior producer Joanna Manning and executive producer Joni Williamson. 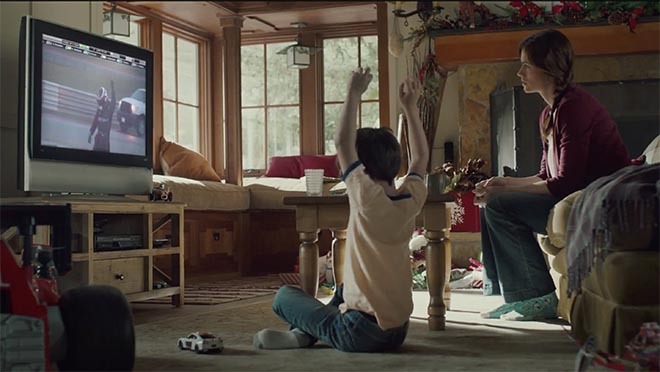 Visual effects were produced at A52 by executive producers Jennifer Sofio Hall, Patrick Nugent, producer Scott Boyajan, VFX supervisor Patrick Murphy, CG supervisor Kirk Shintani, Flame artists Patrick Murphy, Steve Wolff, Stefan Gaillot, Michael Plescia, CG artists Andrew Romatz, Erin Clarke, Brian Lee, John Cherniak, Tom Connors, Michael Cardena, Jon Balcome, Wendy Klein, Tiffany Chou. Colorist was Mark Gethin at MPC. Sound was designed by Gus Koven at Stimmung with assistant sound designer Nicholas Tuttle and executive producer Ceinwyn Clark. Sound was mixed at Play by mixer John Bolen with executive producer Lauren Cascio, assistants Hermann Thumann and Jeff King. Music is “Cats in the Cradle” by Harry Chapin.